This exquisitely designed moving-mantra watch brings the auspicious benevolence of Lord Kubera to help keep the wild Wood Horse under control. It brings abundance, prosperity and wishfulling luck for the year 2014. 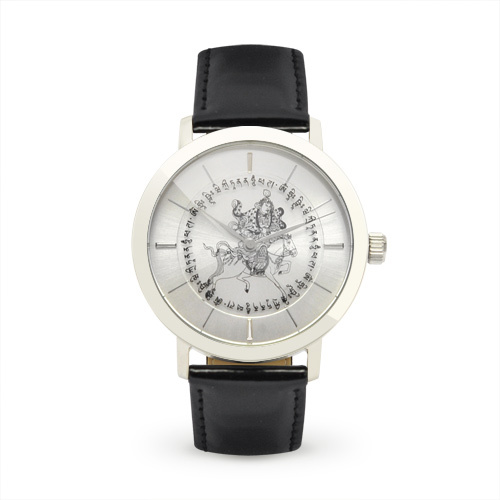 Those who have financial hurdles, tight cashflow problems or difficulty in obtaining property or reaping from their investments should wear this wealth-bringing watch during the Year of the Horse.